As more and more people are being diagnosed with different kinds of diseases, the need to take care of our bodies should be our greatest concern. Despite the latest discoveries of various medicines that are believed to heal diseases, it’s not a guarantee that the medical industry has all the answers for every kind of illness. This greatly means we need to do our part in looking for possible solutions for our health problems. 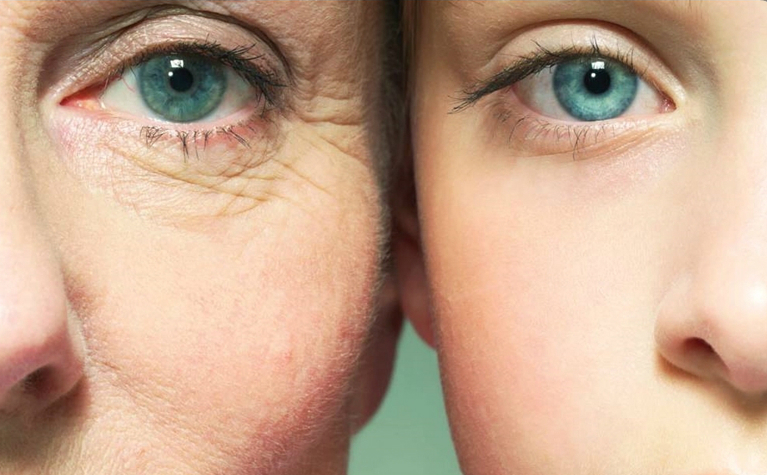 Scientists share some ways wherein we can stay healthy while helping our body detoxify itself and eventually, slow down the process of aging. Our body is an amazing machine that detoxifies itself on its own: the reason why people still manage to survive even when they smoke, drink, or eat poorly. Autophagy, which means “self” eating, is a process where your body cleans out various toxins and recycles damaged cell components. To know more of how autophagy works, check out this video. You can help your body detoxify itself and slow down the aging process by assisting it in the autophagy process. Aside from fighting diseases, exercise has been shown to kill cancer cells and an excellent way to boost the autophagy process. This has been proven by clinical trials where people from the Gulf War were detoxified through exercise, sauna (detox through sweating), and niacin supplementation. It was found out that these combinations maximized the elimination of toxins through the skin. Moreover, exercise increased the flow of blood and vasodilation. Another study was conducted by scientists where they engineered mice to have glowing green autophagosomes. They found a significant increase in the rate at which the mice were demolishing their own cells, in a healthy way, after running for 30 minutes in the treadmill. The rate continued to increase as they ran past the 30 minute mark. Scientists have recently included in their study the effects of fasting in the body. The results were quite remarkable. They found out how fasting boosts autophagy. Aside from this amazing benefit, fasting also regenerates new stem cells, fights cancer, reduces the risk of diabetes and heart diseases. The power source to your cells is called mitochondria. Supplying fuel to your mitochondria, through food, when they don’t need it makes it leak electors that enhance reactive oxygen species as free radicals. These extremely damaging free radicals cause damage to your mitochondria. Mark Mattson, the current chief of the Laboratory of Neuroscience at the National Insititute on Aging and a professor of Neuroscience at the John Hopkins University, is one of the foremost researchers in the area of cellular and molecular mechanisms underlying multiple neurodegenerative disorders, like Parkinson’s and Alzheimer’s diseases. Studies on caloric restriction even show a prolonged lifespan and an increased ability to fight chronic disease. Researchers from the University of Southern California published a study in the June 5 issue of Cell Stem Cell that shows how the cycles of prolonged fasting protect the immune system against damage and induce regeneration. They concluded that fasting shifts stem cells from a dormant state to a state of self-renewal. It triggers stem cell regeneration of an organ or system. Similarly, human clinical trials were conducted on patients receiving chemotherapy. These patients did not eat for long periods of time, which lowered their white blood cell counts. This clearly shows that fasting kills off old and damaged immune cells. When the body gets back, it uses stem cells to create brand new, completely healthy cells. If you want to try fasting, you can use the “5:2 Diet” where you cut down your food to one-fourth of your normal daily calorie intake on fasting days, along with lots of water and tea. You can eat normally on the other the remaining five days of the week. A second option is to restrict your food intake between 11 am and 7 pm daily, and not eating during the hours outside of that time. Protein is important for your body, especially when you’re working out. But, when taking autophagy into consideration, your protein intake should be limited because it shuts down autophagy when taken too much.